MrGoodbeer is for entertainment purposes only; use the advice at your own risk. The author assumes no responsibility for the use or misuse of the information or recommendations contained in these web site pages. Please do not attempt to brew unless you are of legal drinking age in your country. 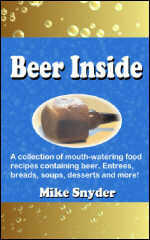 Mike Snyder, aka Mr. Goodbeer, was an award winning Brewmaster for 10 years from 1995 to 2005, author of Beer Inside, a collection of food recipes containing beer, and was a Certified Beer Judge for over 10 years. Mike has also been a webmaster since the early 1990's and is currently the webmaster for MrGoodbeer.com and many other websites. Mike became interested in homebrewing in 1991 after taking a two night course at a local community college (Kirkwood Community College). He actually missed one of the two nights because he was out of town on business! Mike liked what he tasted in class and started brewing extract kits at home shortly thereafter. The text used in the class was "The Complete Joy of Homebrewing" by Charlie Papazian. Mike highly recommends this book (now "The New Complete Joy of Homebrewing") if you are considering getting into brewing your own beer at home. Mike and his wife started an online mail order homebrew shop (S.P.S. Beer Stuff now closed) about a year after he started brewing. Their shop was one of about five on the internet at that time and was featured in the book "Shopping on the Internet and Beyond" by Jacylyn Easton. Mike meets Charlie at the 1998 GABF. Mike joined the local homebrew club and served as president for two years. In 1994 he organized and taught a six month beer judge study group to learn more about the various beer styles and prepare for the Beer Judge Certification Program (BJCP). Gregg Smith's "The Beer Enthusiast's Guide: Tasting & Judging Brews from Around the World" was used in the class. The group started with fifteen people; six took the BJCP test and four of them passed making Mike one of the first Certified Beer Judges in Iowa. For 10 years Mike worked as a Reliability Engineer in the aerospace industry. Early in 1995, he became unemployed as part of a corporate down sizing. While he was unemployed, he had the chance to review "Launching a Business on the Web" by David Cook and Deborah Sellers. His review can be found on the inside cover of the book. Shortly thereafter, he accepted the position of Brewmaster for a new brewpub, Cedar Brewing Company, then created MrGoodbeer.com. Mike and his wife closed their homebrew shop shortly after the brewpub opened in 1996 because they did not have the time to devote to both businesses and two kids. In June of 2005 Mike left Cedar Brewing to pursue other interests. MrGoodbeer.com started as a simple resource to help homebrewers troubleshoot their problem batches and has grown into a beer and brewing internet resource. Affiliate sales from CyBeerMall.com and other advertisements on the site help defray the costs of maintaining the site. Your support allows us to keep the site free for all users and run a monthly contest. If you or your company has an affiliate program and would like MrGoodbeer.com to consider featuring your product(s), let us know about it. Thank you for taking the time to read about us and supporting this site. We hope you find MrGoodbeer.com useful and entertaining. Enjoy the site, come back often, and Cheers! Mike's article "Tips on Starting a Brewery" led to his review of "The Professional Bar & Beverage Manager's Handbook" by Amanda Miron and Douglas R. Brown and is published on the inside of the book. The July 10, 2002 episode of TechTV's "The Screen Savers" featured Mike's freeware game, Beer Truck, in Martin Sargent's "Twisted List: Top Five Free Arcade Games" (full story here). The show is now titled "Attack of The Show" and can be found at G4TV.com. Mike had the opportunity to give advice on aeration in "Tips from the Pros". Check out page 10 in the October 2002 issue of "Brew Your Own" magazine . 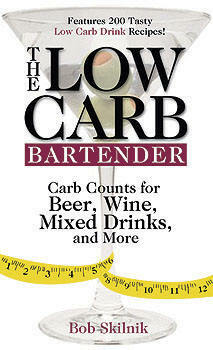 Mike's Java script beer carb calculator is acknowledged on page viii of Bob Skilnik's 'Low Carb Bartender', a 304 page book including carb counts for more than 1,000 brand name beers, 400 brand name wines, 200 tasty low-carb drink recipes, including vodka, tequila, rum, and more (published October 2004). MrGoodbeer.com, BeerInside.com, CyBeerMall.com, BeerStuff.com and many others were designed and are maintained by Mike Snyder. If you need help setting up, designing, and/or maintaining your website, contact Mike for a quote. List of articles written by Mike Snyder. There are not many homebrew competitions in and around Iowa, therefore, Mike let his beer judge certification expire in 2004 and devoted the time and money spent to his family.